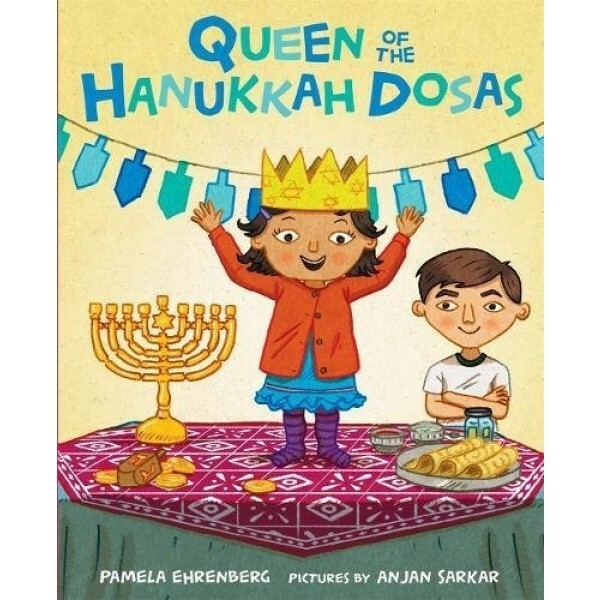 In this sweet and humorous picture book, a multi-cultural family (Mom's Indian; Dad's Jewish) celebrate Hanukkah while incorporating traditional Indian food. 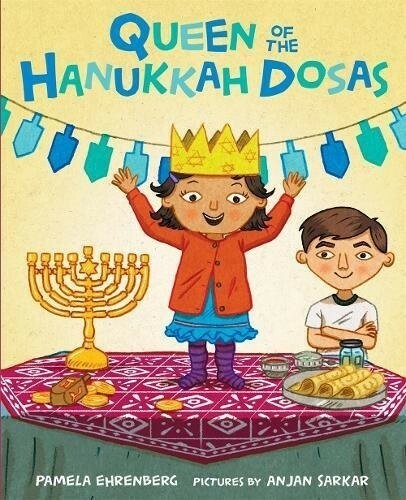 Instead of latkes, this family celebrates Hanukkah with tasty Indian dosas! To her brother's chagrin, little Sadie won't stop climbing on everything both at home and at the Indian grocery store, even while preparing the dosas. As the family puts the finishing touches on their holiday preparations, they accidentally get locked out of the house. Sadie and her climbing skills just may be exactly what is needed to save the day!